Today, 18 February, Estonian Foreign Minister Sven Mikser attended the meeting of the Foreign Affairs Council in Brussels. During the discussion of EU foreign ministers on the issue of Ukraine, Mikser highlighted the deteriorating security situation in the country and the need for added EU support for Ukraine. Foreign Minister Mikser stressed that the security situation in Ukraine has not improved over the years. “In light of this, we must give a concrete response to the events that took place in the Kerch Strait late last year,” the Foreign Minister said. “Sanctions are an indispensable tool for affecting Russia’s actions and therefore we wish to extend sanctions to those responsible for what happened in the Kerch Strait,” Mikser emphasised. At the meeting, EU ministers reached a political agreement to extend sanctions to persons involved in the events of the Kerch Strait, and it will take effect after the obligatory procedures within the EU have been completed. “Despite the obstacles caused by Russia’s aggression, Ukraine has shown specific results in terms of reforms since 2014,” Foreign Minister Mikser said. “The EU’s continued support and also its support through development aid helps Ukraine stay on the course of reform, including its continued fight against corruption,” Mikser said. The Foreign Minister highlighted that Estonia also continues to support Ukraine in carrying out reforms, especially in the field of e-elections and cybersecurity. The Minister also expressed concern over the deteriorating humanitarian situation in Ukraine. “The situation in the eastern regions of Ukraine is serious, and together as the European Union we must find ways to offer additional aid,” he said. The meeting touched on the upcoming presidential elections in March. “We are expecting fair and free elections, however, we cannot underestimate the risk of Russian influence and interference activities,” Foreign Minister Mikser said. “In the context of elections, we must contribute to the OSCE observation mission to ensure a smoother conduct of elections,” he said, adding that Estonia also plans to contribute to the OSCE mission with its observers. The foreign ministers of the European Union also discussed the latest events in Syria, the situation in the Horn of Africa, and Venezuela. Apply for Schengen visa to Estonia in person either at VFS Global Visa Application Center in Pskov (Rizhskiy Prospekt , 60 , +7 (8112) 29-81-71). Estonia represents Holland and Lithuania in Pskov in issuing visas. The bilateral relations of Estonia and the Russian Federation, in the form of diplomatic contacts and communication between officials and experts, are mostly aimed at solving practical issues. Similarly to the entire European Union, Estonian political relations with Russia have, since 2014, been restricted due to Russian aggression in Ukraine, the illegal annexation of Crimea and Sevastopol. The main goals of the bilateral relations in the near future are enforcing border agreements and further border demarcations. 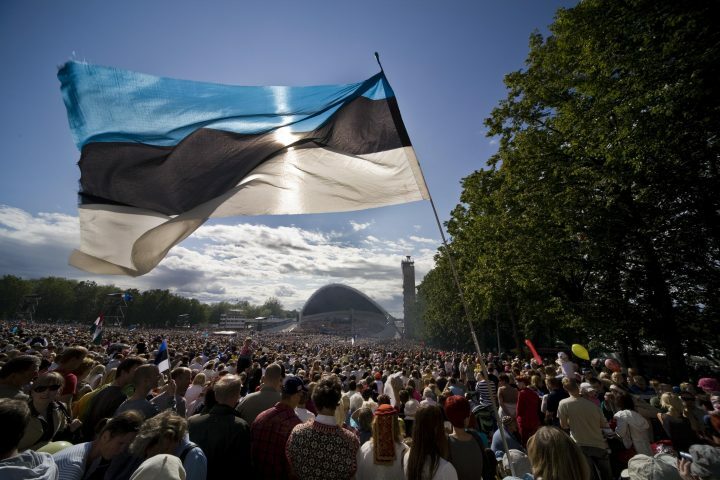 Cross-border cooperation between Estonia and Russia is successful, particularly within the framework of cooperation programs largely financed by the EU. Estonia-Latvia-Russia cross border cooperation programme 2007-2014 supported 45 different projects in Estonia, Latvia and Russia in the amount of €48 million. For example, the reconstruction of border crossing points in Ivangorod and in Narva that help to increase the throughput capacity and make border crossing easier, was funded from the program. Small-craft harbours were constructed in Tartu, Mustvee and Räpina. First inland water body slipway in Estonia was built in Kallaste. Waste water treatment stations in Pskov, Gdov and Pechory and the districts of Pskov and Palkinsky were reconstructed. Estonia-Russia cross-border cooperation programme 2014-2020 (http://www.estoniarussia.eu) continues to finance cross-border projects. The programme aims to support the development and competitiveness of border regions. Total amount of the programme funds is €34,2 million, with most of the funding coming from the EU. Estonia will contribute €9 and Russia €8,4 million. The cooperation programme helps to finance five large infrastructure projects, with €20 million in total funding: 1) development of small businesses in South-East Estonia and the district of Pskov, (connected to border crossing); 2) socio-economic and environmental development of the Lake Peipsi, including water tourism and smallharbours, reconstruction of wastewater treatment facilities in the district of Pskov; 3) reconstruction of the Narva-Ivangorod fortresses ensemble; reconstruction of the Narva-Ivangorod promenade; 5) reconstruction of the Luhamaa-Shumilkino border crossing points.